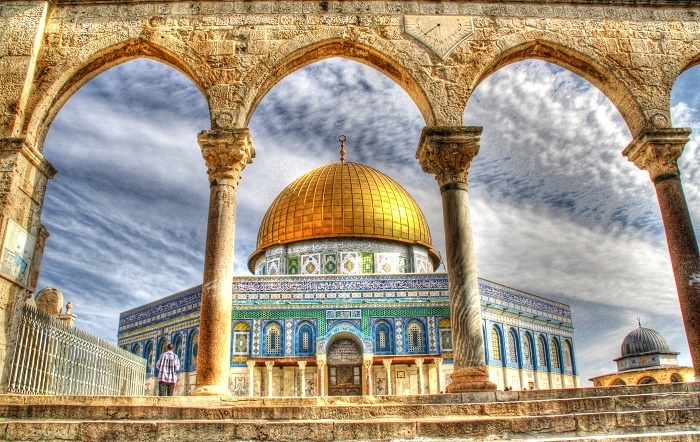 The Dome of the Rock is an important Islamic shrine that is located on the important Temple Mount, which sits in the Old City of Jerusalem, within the territory of the State of Palestine. 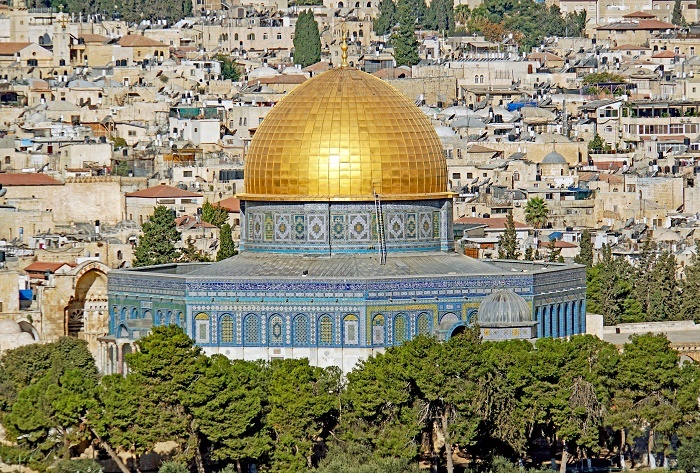 Not being a mosque, this impressive and beautiful edifice is visible from all over Jerusalem, and what is interesting is that the Dome of the Rock is the oldest Islamic monument that still stands today. Nowadays, the shrine is located on the place where previously the Temple of Solomon was built, as well as the Jewish Second Temple. 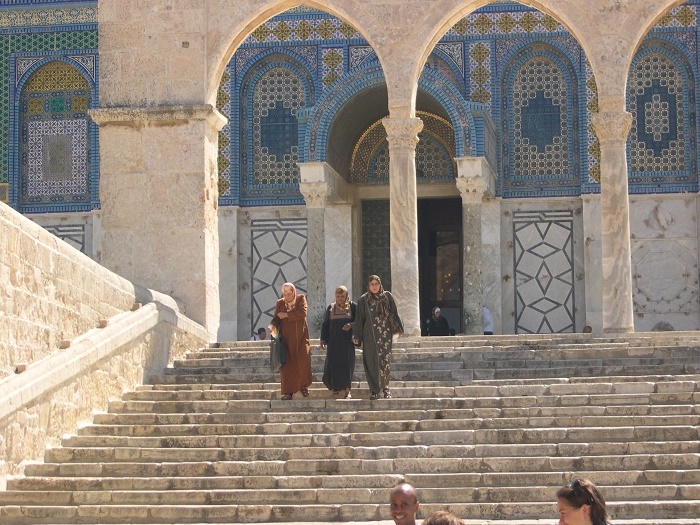 There are some source that state different dates for the construction of this alluring masterpiece, though it is mostly assumed that it was built by the order of Umayyad Caliph Abd al-Malik and his son and successor Al-Walid I, which construction began some time around 687. Some are even going further and saying that the dome was not built with the original structure, and it was added to the already existing building, nonetheless, there is no official proof of such thing, and people are free to believe as they wish. The most important piece that is within the edifice is the rock, from which it gets its name, which is considered that Muhammad to have ascended to heaven. 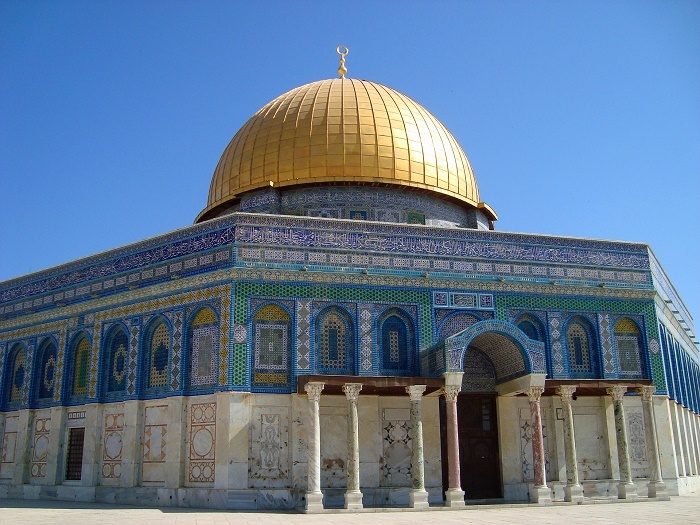 Sometimes the Dome is called the Mosque of Umar, and its unique shape, the octagonal plan and the rotunda dome of wood, are somewhat the same as the Byzantine designs. The most striking feature is the exterior, which is covered with Persian tiles which were added during the reign of Suleiman the Magnificent, which work took seven years to finish. 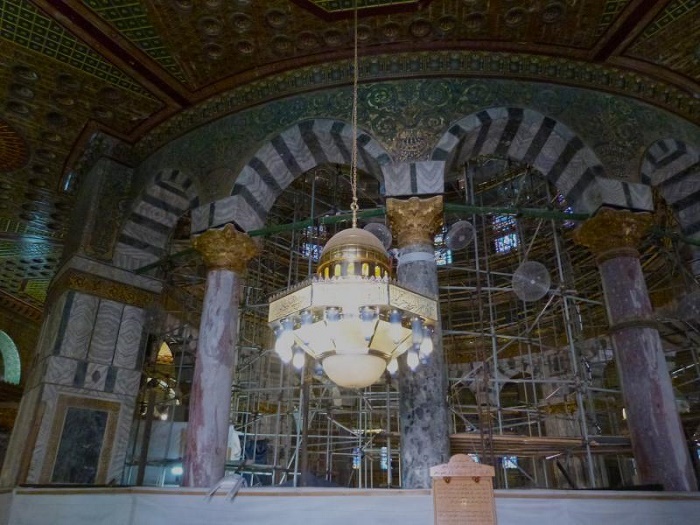 On other hand, the interior is lavishly decorated with mosaic, faience and marble, which were added too during the Ottoman rule, and it is also enriched with Qur’anic inscriptions where the “Surah Ya Sin” is inscribed across the top of the tile work. Still, there are other inscriptions on the inner side of the octagonal arcade, and the columns that are supporting the inner octagon and the center circle are of different sizes. 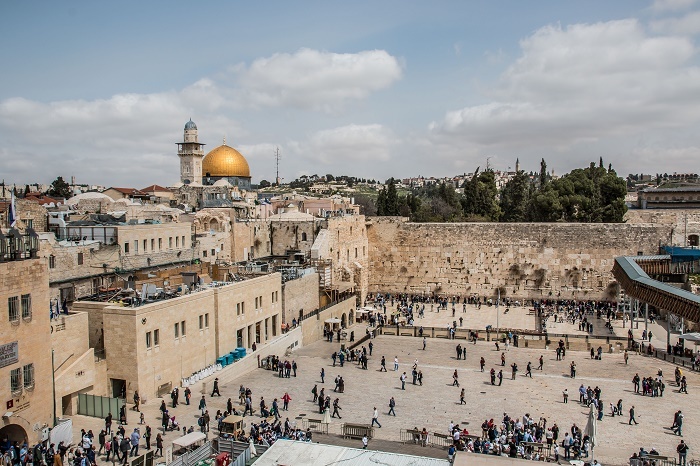 The central focus of the edifice, the sacred rock, is a large, ancient rock that was in the center of the Solomon’s Temple, which to the Jews is the rock on which Abraham prepared to sacrifice Isaac. 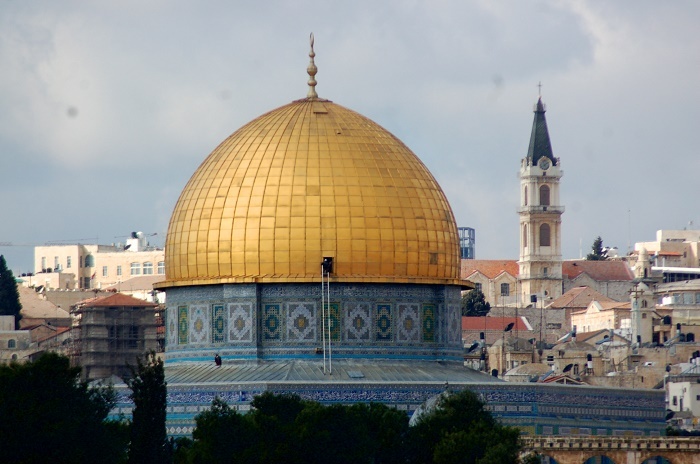 Being the apple of discord between the Israelis and the Palestinians, the Dome of the Rock was reconstructed plenty of times, and even the Israeli flag was hoisted once in 1967 when Israel won the Six Day War. 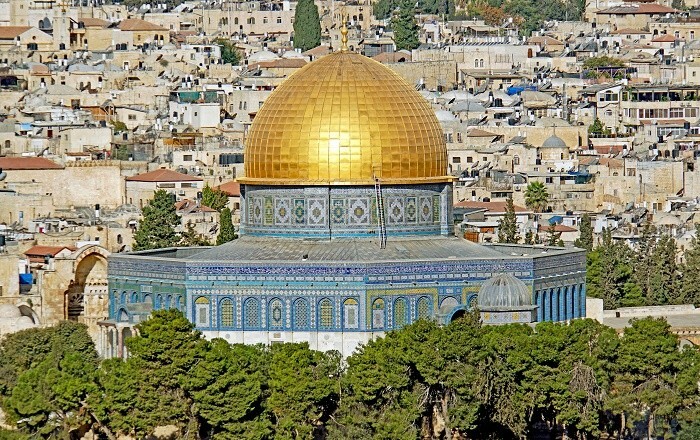 Luckily, the flag was lowered and it was immediately introduced the Jerusalem Islamic Waqf, which is best known for controlling and managing the current Islamic edifices on and around the Temple Mount. 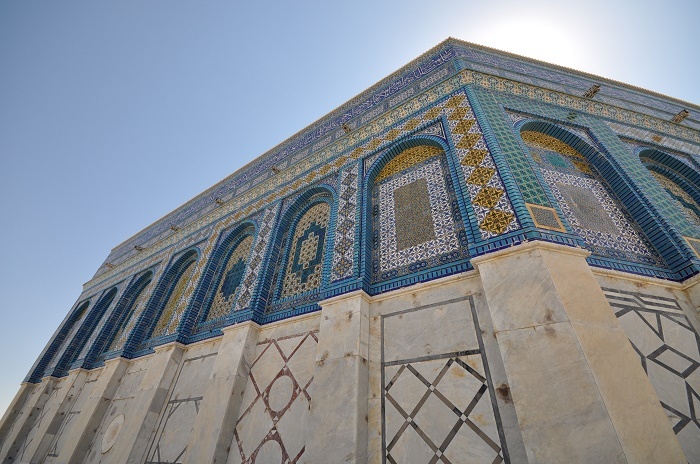 Maintained by the Ministry of Awqaf in Amman, the Kingdom of Jordan, now everyone is permitted to enter, but non-Muslims should visit in certain visiting hours which are different in summer and winter. 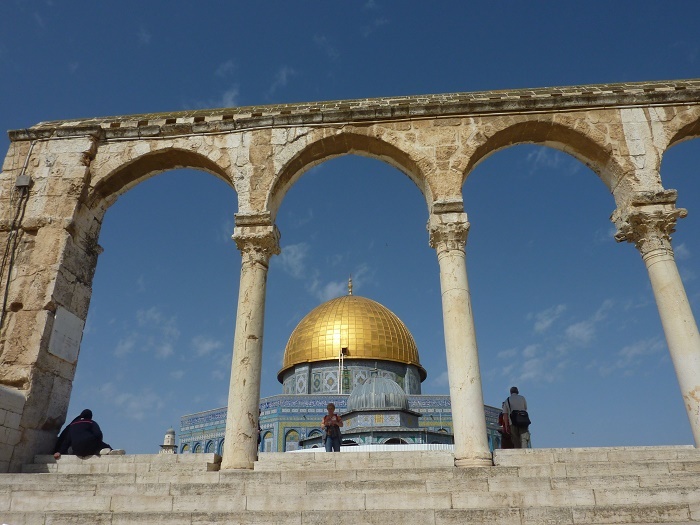 Being the inspiration for many other architectural marvels, this beautiful structure will continue to be one of the most important sites for the worshipers of the Christian, Islam and Judaism religion, but most importantly to those who are in possession for the moment.